Special shout out to all our family reunion planners here and abroad. If you're not celebrating family reunion during this memorial day weekend now is the perfect time to start planning one. Check out the timely family reunion speed planning article below and start planning for a memorable family reunion this summer. All around the world family reunions will be celebrated from May to September. Family reunions are a haven for nurturing children, mothers seeking mutual support, fathers seeking camaraderie, teens seeking identity and genealogist and family historians. While family reunions are vital to the survival of this basic unit of society many career minded people and domestic workers just can't seem to find the time to pull it off. Do not despair. I've been there! And what have I learned? 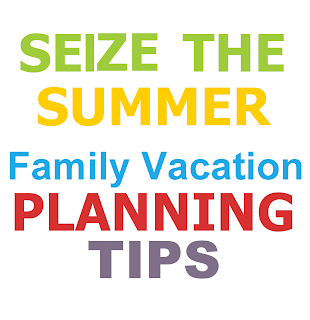 The fact is you can plan a successful and memorable family reunion just 6 to 8 weeks in advance. Here are a few tips to make your reunion event a most memorable one. 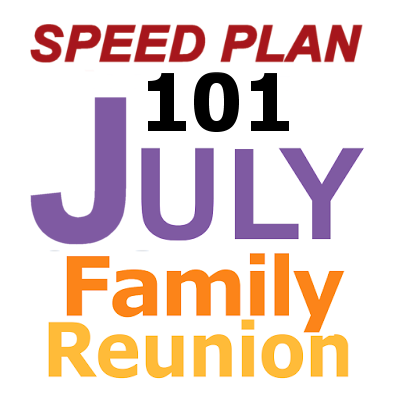 Speed Plan Your July Family Reunion in just 20 minutes. Now create a group text message to be forwarded to all family contacts. Date - Location - Time." If your holding the event in the back yard include the following message. "Bring a dish and drinks to share and also a chair"
Make sure the person on the grill supplies charcoal, foil, meat, bread and condiments. Bring extra drinks early. Make the phone calls and send a group text message. Those who reply within the next 5 minutes with doable ideas will be considered. Put the suggested date, location and activities, down in your notes. Ask the family to vote on their favorites within the next 5 minutes. A wise man once said, "Who would build a tower without first sitting down and calculating the cost to see if he has enough money to complete it?" If your reunion is at a restaurant consider how much to charge each family member. Consider an all-you-can-eat food bar to cut down on menu and ordering complications. Within the next 5 minutes send them a menu complete with costs and have them bring the funds to the restaurant to keep things simple. Want more practical money saving reunion planning tips? Get Fimark's Family Reunion Planner Social web app complete with checklists, themes, survey taker, activity ideas, itinerary and more. Everything you need to plan a memorable family reunion. 5. Consider nearness of restaurants, stores, malls, theaters and hospitals.